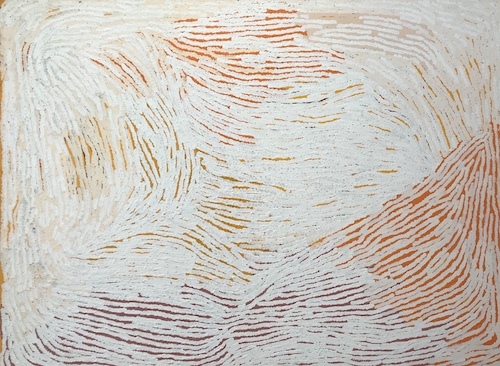 Ngipi lived in the small and very remote community of Patjarr also known as Karilwara, in the Gibson Desert, WA. She was born not far from Lake Blair or Yunpalara at Yirril - meaning to sharpen a stick - around 1949 where she lived a nomad life of hunting and gathering with her family well into the 1960's. Her way of life was documented in "People of the Australian Western Desert", a documentary by anthropologist, Ian Dunlop, produced by the Australian Commonwealth Film Unit. Ngipi ward was a painter of growing renown and a skilled hunter.